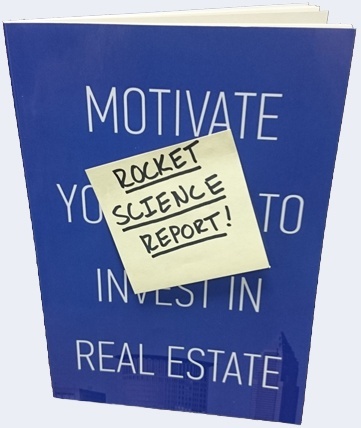 Rocket Science Report: Motivate Yourself to Invest in Real Estate! Motivate Yourself to Invest in Real Estate! Real Estate Investing is not Rocket Science, download your FREE E-Book to learn more! Unlike stocks and bonds, a real estate investment is a tangible asset that allows you to see exactly where your money is going as well as to collect returns consistently in the form of monthly rent payments from tenants. Comparison " Owning Real Estate vs. Stocks"
How Real Estate can be used to meet your retirement goals. How to build wealth using real estate.